WASHINGTON — Two months after the high-speed derailment of an Amtrak train killed eight people and injured hundreds more in Philadelphia, a Senate transportation bill headed for debate this week calls for a three-year delay of the deadline for installing a rail safety system that experts say would have almost certainly prevented the Pennsylvania accident. Lawmakers from the Northeast and train safety experts expressed outrage over the provision, which is included in the 1,000-page legislation to finance highway and transit projects for the next three years. Several lawmakers vowed to fight the extension of the deadline to install the safety system, called positive train control, beyond December 2015. In 2008, after decades of delay, lawmakers gave railroad companies, including Amtrak, seven years to complete installation of the safety system, which monitors the speed of trains and automatically slows them down if they approach curves at dangerously high speeds. The Amtrak train that derailed in Pennsylvania was going 106 miles an hour, more than twice the speed limit, when it careened off the tracks. 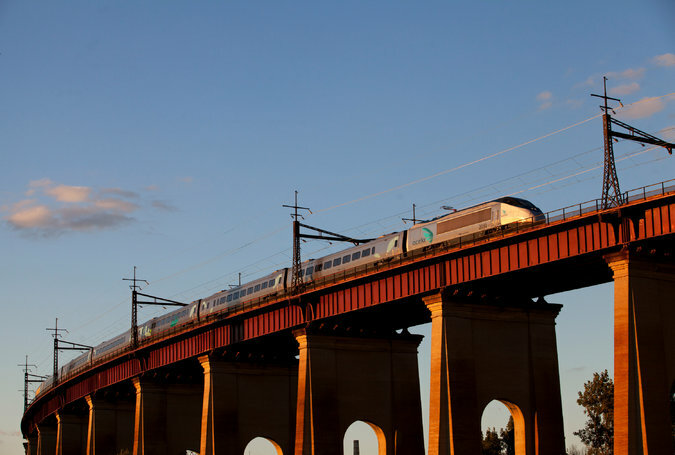 Since the accident, Amtrak has said it will meet the existing deadline for installing and activating the safety systems in the busy Northeast Corridor. Craig S. Schulz, a spokesman for the railroad, said Thursday that Amtrak “remains committed” to making good on that promise. But many railroads across the country still have not installed and activated the necessary equipment and would face federal fines and other mandates if they continued operating past Dec. 31 without it. The transportation spending measure in the Senate would require railroads to submit plans to the secretary of transportation that include installation of positive train control by the end of 2018. The willingness to give railroads more time is especially galling to lawmakers from the Northeast, where the Pennsylvania accident highlighted the dangers to millions of riders in the most heavily traveled train corridor in the nation. Mark V. Rosenker, a former chairman of the National Transportation Safety Board, which investigates train accidents, said he was outraged by the provision and blamed railroads’ lobbyists for pressuring lawmakers to include it. Officials at the Transportation Department are continuing to insist that railroads meet the current end-of-the-year deadline. And at the White House, the press secretary, Josh Earnest, spoke of concerns “about some of the safety provisions that are included in the bill” and said the administration would take a close look at those provisions. But pressure is mounting in both parties to pass the transportation bill before the Highway Trust Fund runs out of money for road projects across the country. That could happen this summer if Congress does not approve a new long-term authorization for transportation spending. If the Senate passes its measure, it still must win passage in the House as well. Several senators said concern about the rail safety provision could become a central part of the debate over the bill in the days ahead. Mr. Blumenthal said he disliked the language extending the deadline for railroads to install positive train control. But in an interview, he said he might be able to accept a new deadline if Congress agreed to dedicate money from the Highway Trust Fund specifically for installation of the rail safety systems, especially for commuter train systems that are struggling to afford the equipment. Mr. Blumenthal said he intended to propose amendments that would dedicate $570 million a year for three years to commuter-rail safety improvements. He said it was unclear whether Republicans, who control the Senate, would allow the amendments to be offered. And he said it was not certain how hard the Obama administration was willing to fight for them. Backers of the deadline extension say they need it because the equipment is costly and time-consuming to install across thousands of miles of track. They also say the provision gives the transportation secretary authority to reject railroad improvement plans on a case-by-case basis, which they said could leave some railroads subject to the current 2015 deadline. And they said the bill authorized the Transportation Department to prioritize money for rail safety even though it does not guarantee a specific amount of money to be spent from the trust fund. But advocates of greater safety measures for trains said the railroads had been under orders to upgrade their safety systems for years and should have been able to meet the 2015 deadline, which was set by Congress after a California derailment in 2008 that killed 25 people. Mr. Rosenker, who was acting chairman of the transportation safety board when the crash happened, said the seven-year deadline set by Congress after that crash should not be extended.